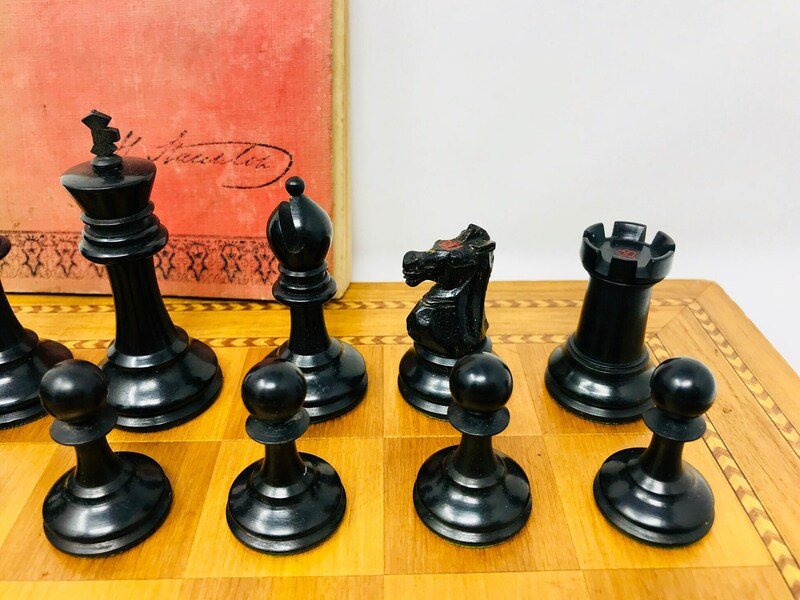 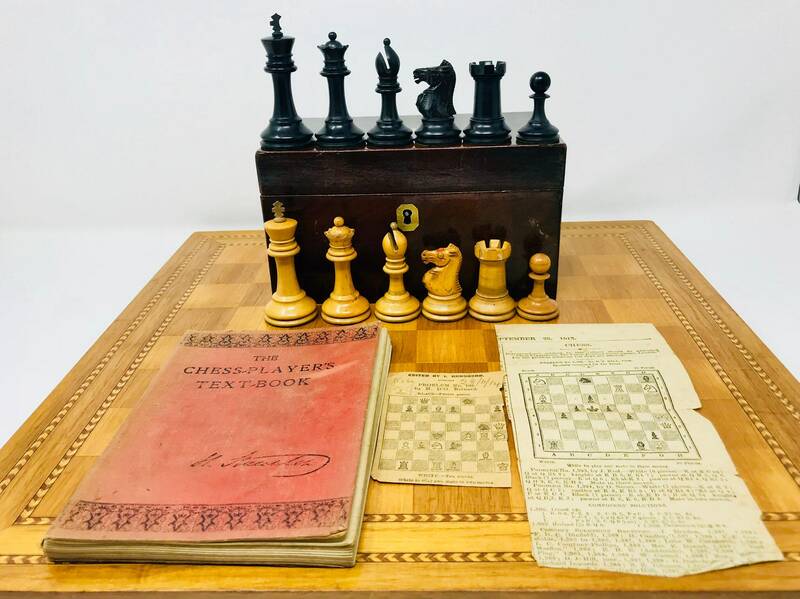 Nineteenth-century chess-style popularly known for being one of the cheapest ensembles that the original Staunton. 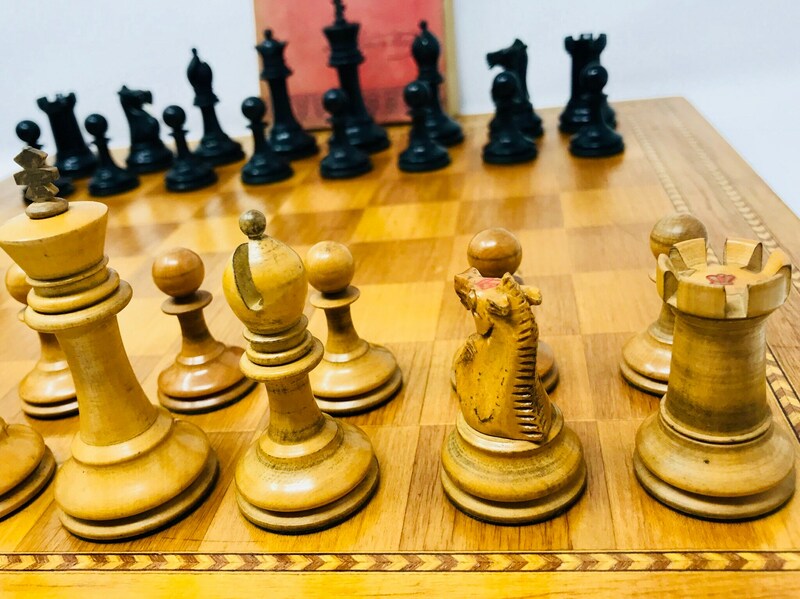 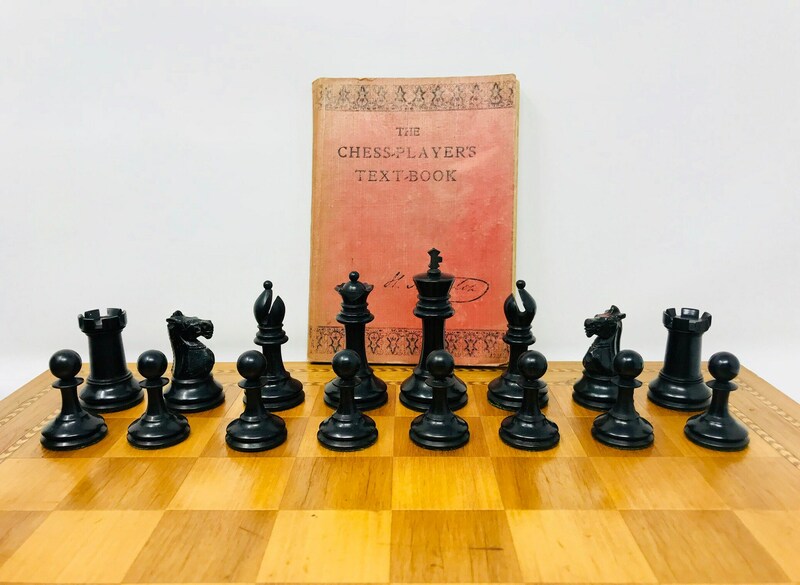 It is one of the chess of the end of the century which imitated the firm Jaques Staunton with the towers and the sealed horses. 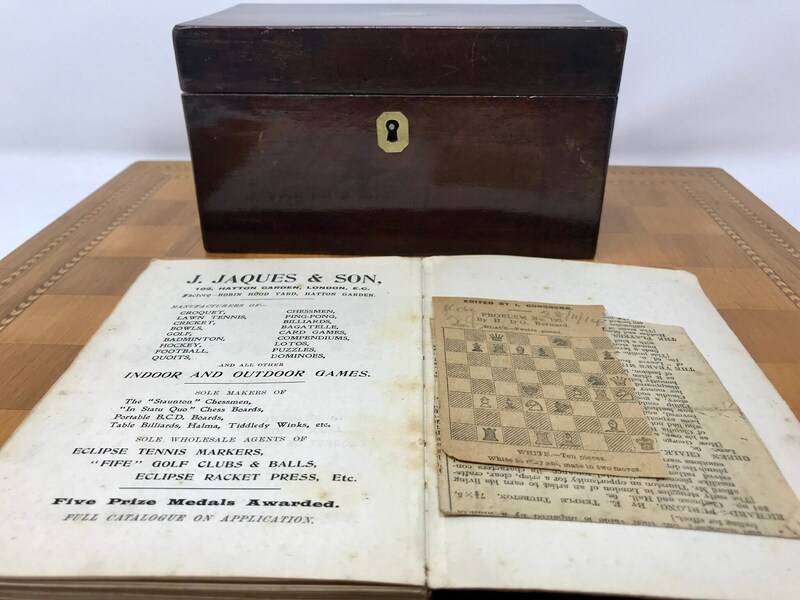 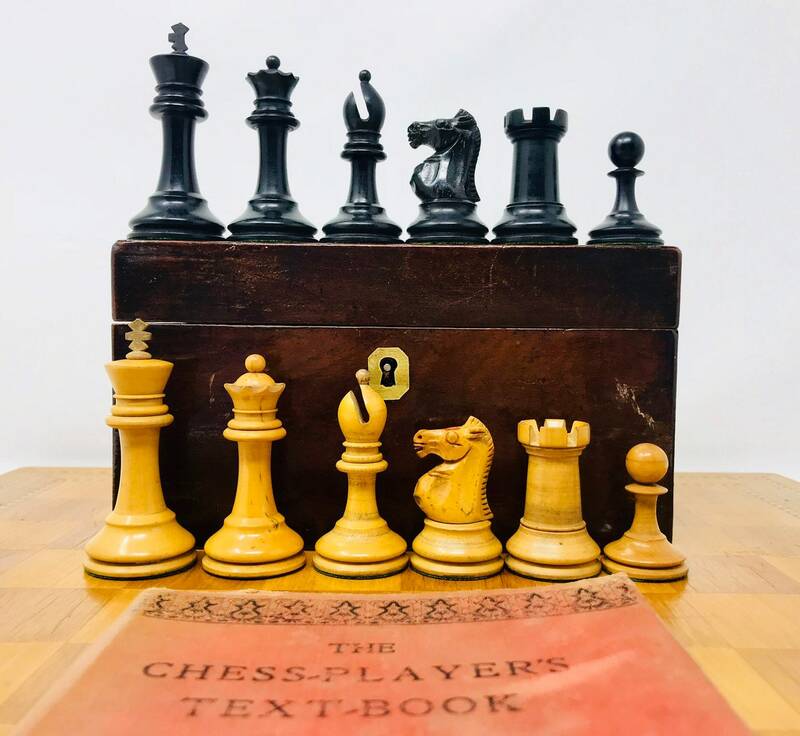 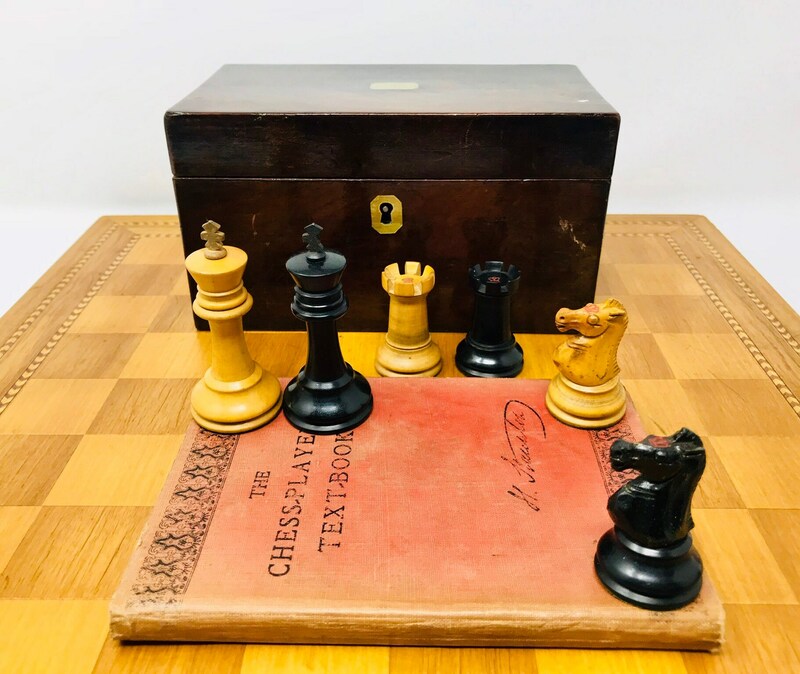 It includes its original walnut box with metal details and an advertising book by Jaques Staunton with publicity of the time, and there are newspaper clippings with famous games. 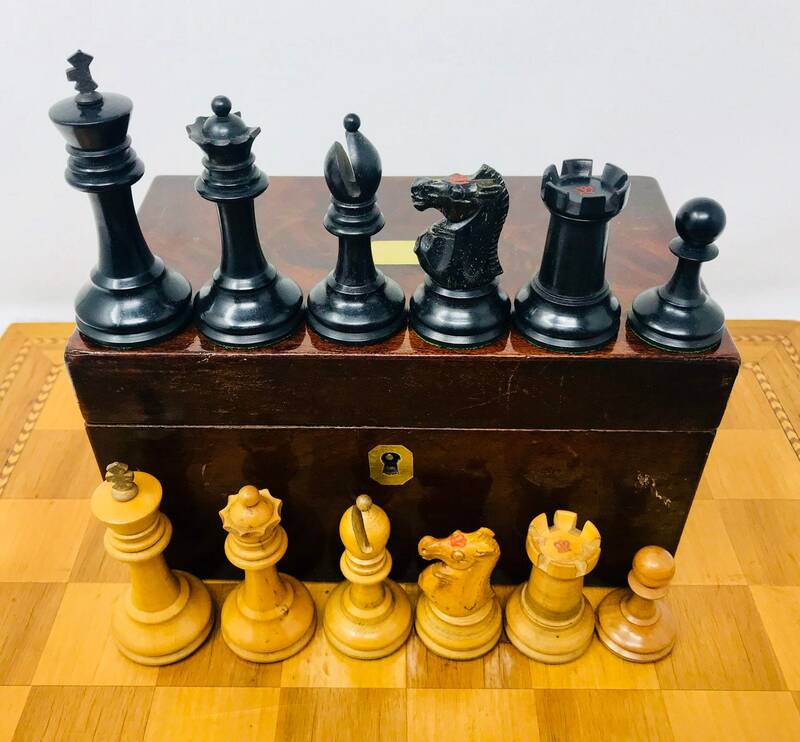 A set of 32 original pieces preserved in good condition with some fault as seen in the photographs. 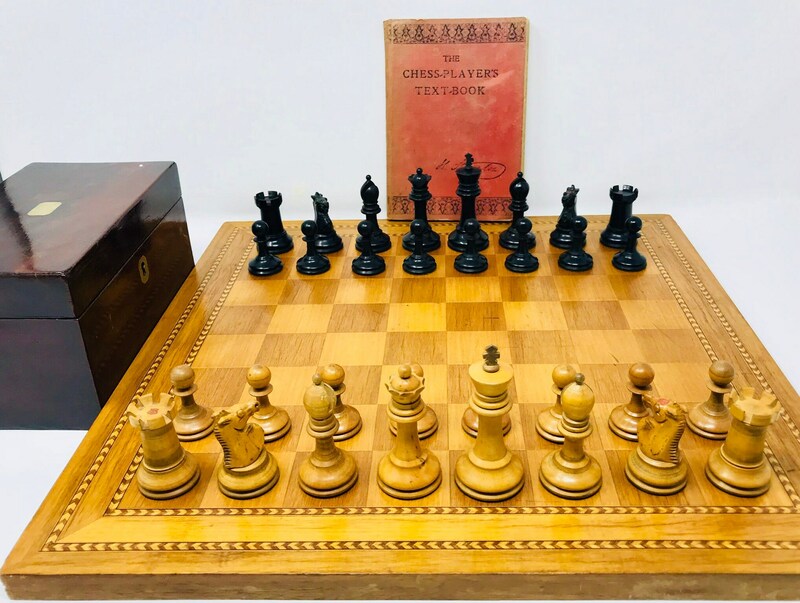 The board is not included.